The Linux Mail Server Setup and Configuration is my biggest concern when I setup Web Hosting Solution. There are globally known Anti-Spam Standards should be followed during configuration to prevent the Mail server’s IP Address from being blacklisted, or have it’s users’ emails end up at the Spam folder. 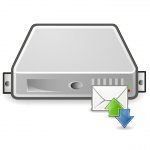 So, the aim is to setup a Mail Server which secure and configured properly based on Anti-Spam and Security Standards.